It’s always a good day when we get to handle new knives from Olamic Cutlery. They continue to raise the bar when it comes to mid-tech folding knives and fixed blades, and the variety of Damascus steel and premium handle materials make this collection truly one-of-a-kind. Check out our review of the new Busker and Wayfarer folding knives and the Voykar HT and Kovda fixed blades! We traveled to Bradford, Pennsylvania to meet up with the talented artisans over at Case Knives. They were kind enough to take us through the process of making their high quality and much beloved pocket knives. For those of you out there who have been waiting for a How It’s Made: Knife Edition, we’ve got you covered! The Best Customs of the Week – KnifeCenter’s Picks! Another week, another fresh batch of custom and mid-tech knives. This time we’ve got two production knife features, so check out the list below to find your next EDC or safe queen. From famous pocket knife designs like the Leek to revolutionary assisted opening technologies, Kershaw is known for delivering some of the most groundbreaking innovations in the knife industry. Incredible knives like the Tyrade, Speedform, Tilt, and Cryo have earned Kershaw recognition with awards like Overall Knife of the Year and Best Buy of the Year. 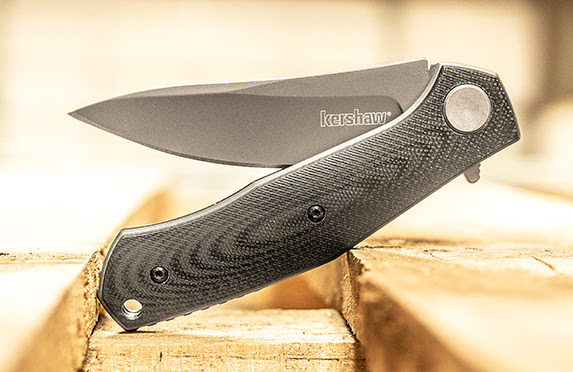 It’s not a stretch to say that Kershaw offers up some of the best pocket knives and sporting knives on the market (especially for the price!) but we want to help narrow that scope a little bit. We’ve picked the top five Kershaw knives for you so that you can spend less time shopping and more time cutting. 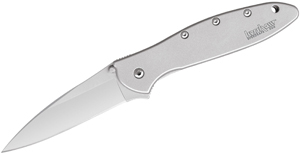 The Kershaw Leek is one of the company’s most enduring and popular pocketknife series. 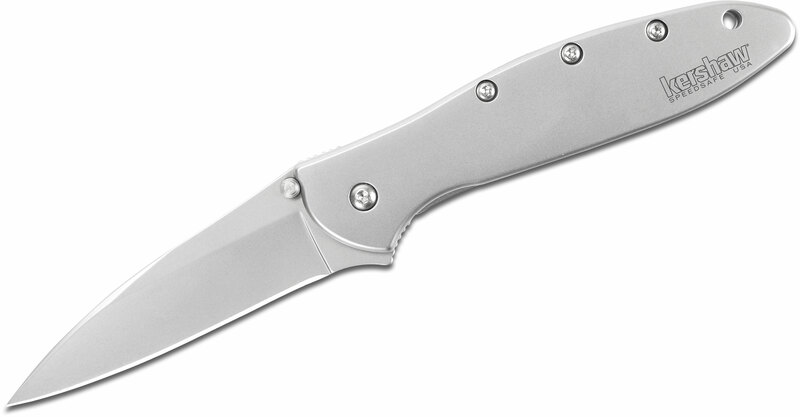 Designed by famous knife designer Ken Onion, this classic folding knife features the SpeedSafe assisted opening mechanism Ken Onion, himself, invented. The Kershaw Leek’s small profile allows this top pocketknife to be carried comfortably, and it comes in a variety of colors so you’ll have options depending on your taste. Despite all the iterations within this series of classic pocketknives that we’ve seen over the years, our favorite is undoubtedly the original model Kershaw Leek with stainless steel handles and Sandvik blade steel. Since this great knife boasts the Onion-designed assisted opening mechanism, both lefties and righties can work this into their EDC rotation. The Kershaw Leek also offers secure lockup when the blade is folded thanks to its Tip-Lock slider. The lanyard hole in the knife handle is seamlessly integrated to look like a fourth rivet, which is a pretty cool touch that drives home the level of detail that went into the overall design of a truly great knife. 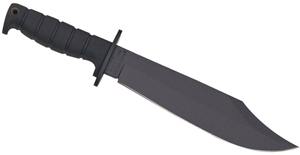 Check out the entire Leek Series at KnifeCenter! The Endura and Delica, two of Spyderco’s most popular folding pocket knives, got a serious glow up with these new FRN Zome Camo handles. Zome is an ancient Japanese art form that focuses on dyeing textiles using dyes from plants, flowers, fruit, and other natural sources. Take a look at KnifeCenter’s review where we dive into what makes these handles so unique! What Does a 3.15″ Mini Karambit Look Like? It’s compact, it’s useful and let’s be honest, it’s downright cute – any real man can admit that. Looking to add a useful karambit to your EDC or keyring? Check out our video where we show you just how much Fox Knives‘ Mini-Ka folding karambit can handle. We were lucky enough to score a great new batch of custom knives this week, and we’re also showing off a new brand – DoubleStar Knives! Check out the list below to put one of these awesome custom or mid-tech knives in your pocket. DoubleStar is a firearms company based out of Winchester, Kentucky that has been focused on creating rifles for the commercial market as well as law enforcement and military forces around the world. Over the past couple of years, they have started making some rugged tactical knives built in-house in the United States and we are very excited to bring them to our customers. It’s mid-August, and we here in Fredericksburg, Virginia still have plenty of time to get some solid camping sessions in before winter makes it extra fun. 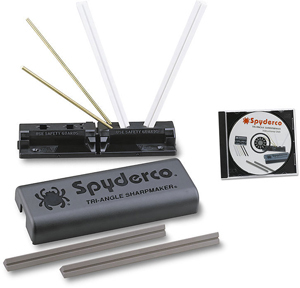 If you’re looking to upgrade your pack or pocket with some new outdoor essentials, you’ll find some great options in this list of eight must-have survivalist tools. The Ignitor sets the standard for value-priced, high-tech folding knives with its patented features and layered G10 handle scales. 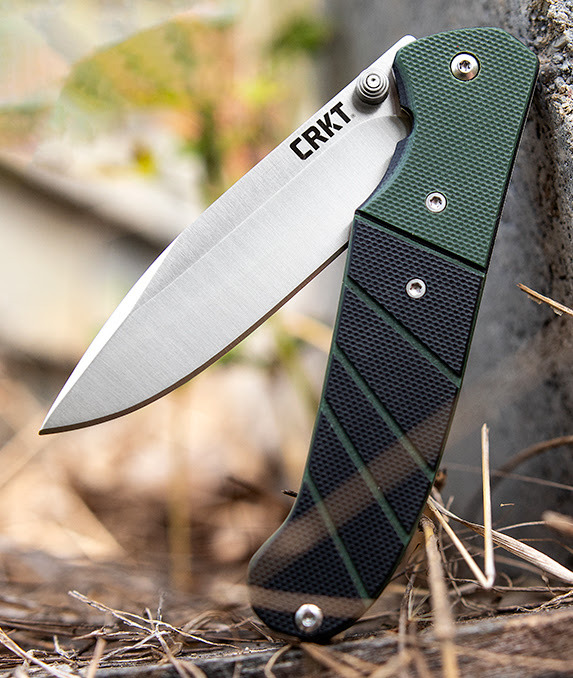 Not only do you get the surefire action of its OutBurst assisted deployment, but you also get the security of CRKT’s patent-pending Fire Safe mechanism. This design offers the best integration of folder safety and fast access that we’ve ever seen in a sport or work folder. We have plain blade options and models with Veff serrations, which are great for cutting cord, netting, and vegetation quickly. New Custom Knives – Get ‘Em While They’re Hot! 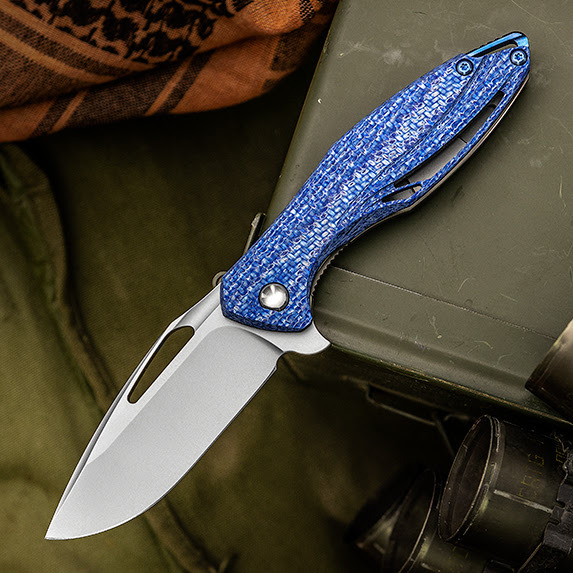 KnifeCenter’s got a great batch of new custom knives from Bill Koenig, Tim Britton, Justin Gingrich, and more. If you’ve been looking to add to your EDC rotation or knife collection, we have a feeling you’ll be filling up your cart with at least one of these beauties. Do yourself a favor and add a Koenig Arius to your collection right now while we have them in stock. This is one of our favorite custom knives. 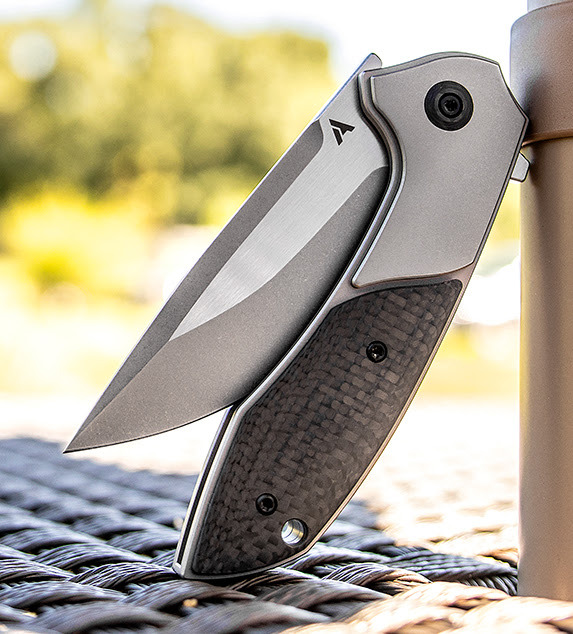 It’s precision machined with amazing action and stellar ergonomics, making it a do-it-all knife that will become a go-to in your EDC rotation straight away. 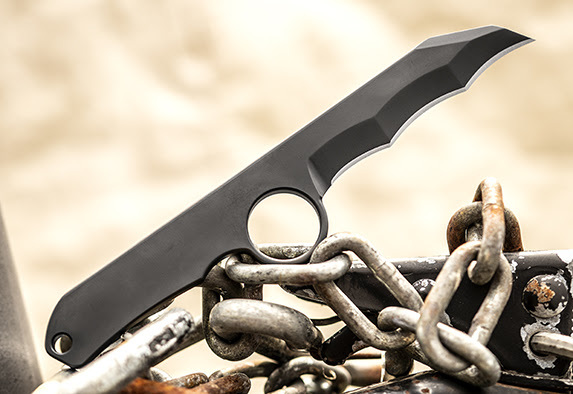 KnifeCenter’s 8 Combat and Tactical Essentials! Looking for a self-defense tool for you or a loved one? We’ve picked out eight tactical essentials that make perfect gifts – even if you just end up treating yourself! KnifeCenter is the original and largest online catalog of cutlery, and that includes the best tactical knives in the world. Love the look and feel of Dmitry Sinkevich’s designs but don’t have Zero Tolerance money? Enter the Concierge, his new flipper collaboration with Kershaw. The clean, refined look is paired with black G10 handle scales, a custom inset pivot, and a backspacer with raised jimping. This knife fits your hand comfortably and flips smoothly thanks to Kershaw’s manual KVT ball-bearing system. Considering it’s less than forty bucks, adding this compact flipper to your cart seems like a no-brainer.